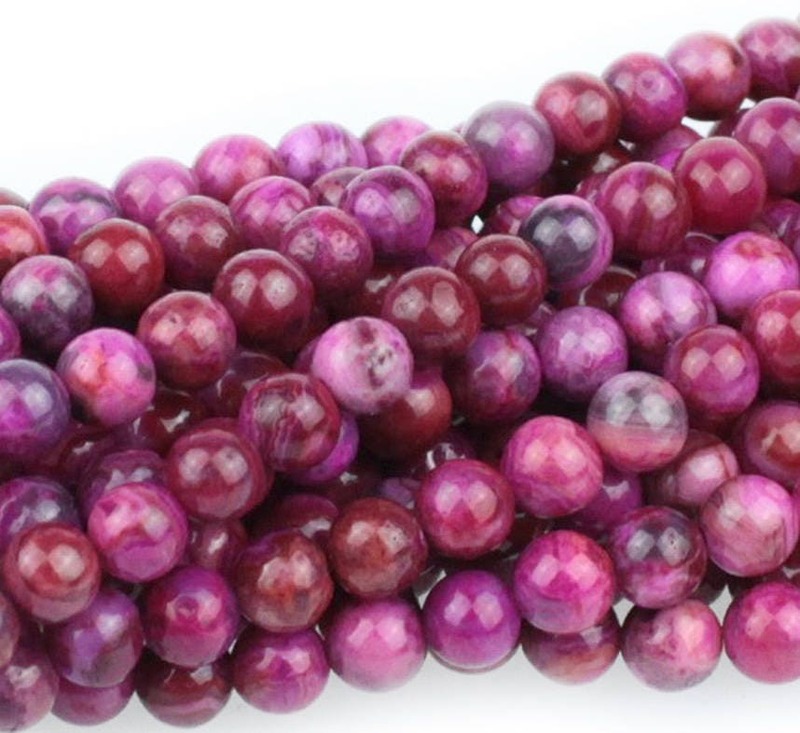 Pink Crazy Lace Agate - bright pink 4mm round beads, approx 49 beads per 8 inch strand. Pink Crazy Lace Agate is actually color enhanced Mexican Crazy Lace Agate and is normally white and opaque with swirling patterns. To emphasize these beautiful patterns the pink color has been added. Color enhancing is common amongst agates to make them fashionably relevant. Although the colors are enhanced the healing properties still remain. Lace Agates are said to keep the wearer well-balanced while helping to banish fear. Mined in Mexico. Mohs hardness 7.